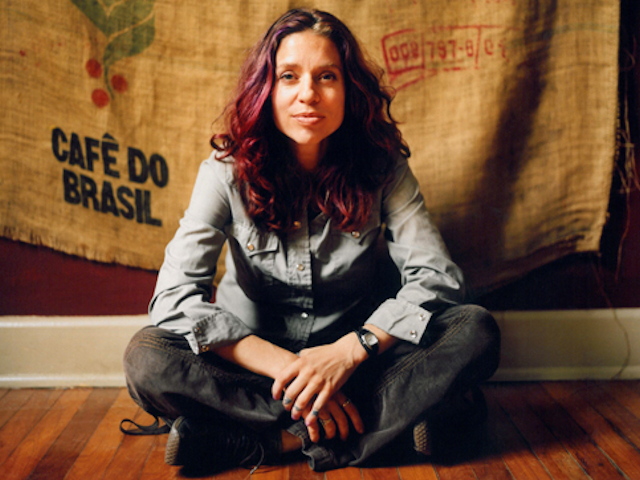 Ani DiFranco is an iconic singer, songwriter, musician, poet, activist, and entrepreneur who currently calls New Orleans home. Born and raised in Buffalo, New York, DiFranco started her own record label, Righteous Babe, when she was 18 and, one year later, released her self-titled debut record in 1990. That auspicious start has led Righteous Babe to become one of America’s most successful independent labels, while the multi-talented, poetic, and outspoken DiFranco is one of the world’s most acclaimed and inspiring musicians. Her latest album is the eclectic and vibrant Allergic to Water, which Righteous Babe released in 2014, and it brings her out on the road over the next few months, including Canadian stops at the Great Hall in Toronto on Sept. 14, the River Run Centre in Guelph on Sept, 15, the Empire Theatre in Belleville on Sept, 17, and the Algonquin Commons Theatre in Ottawa on September 18. Here, Ani and I discuss New Orleans, the Roots of Music kids’ band playing for the President, thoughts on Barack Obama, life in NOLA post-Katrina, helping children via music schools, George W. Bush appearing in the 9th Ward on the 10th anniversary of Hurricane Katrina, supporting politicians and government leaders, the left needs its own Donald Drumpf, the heartening rise of Bernie Sanders, moving to and living in New Orleans, learning to slow down, having and raising children, time and patience and work and rewards, something new in the mixing, early days and spleen rock, the underground folk and roots culture in Canada in the early 90s, moving to Canada, America swinging to the left and staying hopeful, pessimism doesn’t go with parenting, a new song about Obama’s weariness and resolve, the day after Obama was elected President in 2008, Jimmy Carter, slow going on the next record, producing an album of songs by and sung by men in prisons in America, recording some of them over the phone, “Take Down Your Flag” and the Charleston 9, workshopping new songs live, the song “Dithering,” and then we were out of range.